CNAs work in the trenches of long-term care to provide the lion’s share of hands-on care. 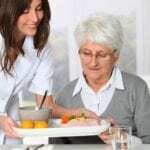 Their job description includes personal care, such as bathing, dressing, and toileting, ambulation, meals, measuring and recording vital signs, and assisting residents with other activities of daily living. Since CNAs spend more time with the resident than other health care professionals or their own friends and family, they will provide much of the needed emotional support. To be able to provide this level of support and forge meaningful relationships with patients are just some of the most rewarding aspects of healthcare. A nursing assistant performs these and other duties under the supervision of a licensed nurse. As part of the healthcare team, CNAs make significant contributions to care. They provide constant physical and emotional support,provide encouragement, note potential problems, and report concerns to nurses or doctors. 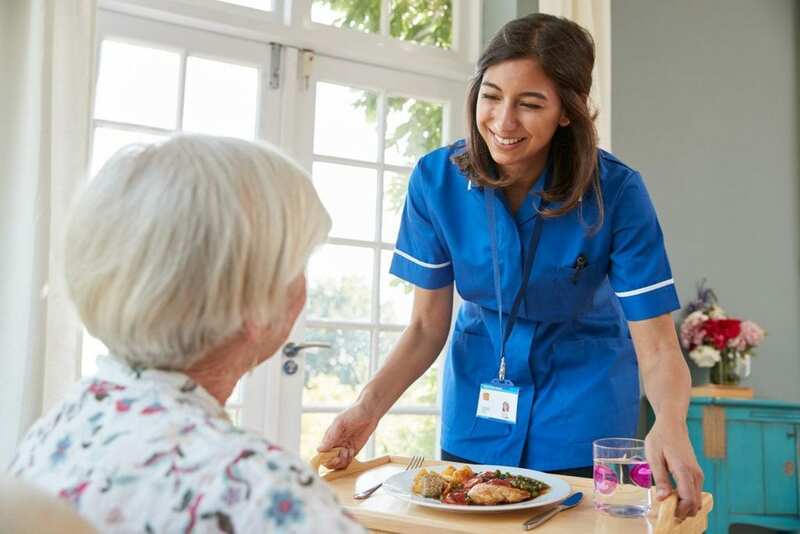 While the job can be rewarding for those who have a knack for caring for others, there’s one thing that few CNA candidates do not expect – that is the immense workload. If they’re not cut out for it, they’ll move on to some other profession. Fortunately, the preparation for employment as a CNA is a short-term investment of 2 to 6 weeks. For those who truly enjoy caring for others, employment as a nursing assistant may be the first step to a career in nursing. The Anoka Technical College Nursing Assistant/Home Health Aide certificate covers basic nursing skills and restorative services to prepare students for employment as a Certified Nursing Assistant or Home Health Aide. The 5-credit course covers mental health and social needs, resident’s rights, personal care skills, basic human needs, and home health. The clinical experience is a critical part of the program as it gives students an opportunity to put their knowledge and skills to use in a real-world setting. The program meets federal and the Minnesota State requirements for nurse aide training, so graduates are eligible to apply for the nurse aide exam to be added to the Minnesota Nurse Aide Registry. To graduate from the certificate program, students must meet a GPA of 2.0 or higher. Minnesota Law requires direct professionals who will provide care at a state-licensed facility to submit to a background study. Candidates who are disqualified from direct patient contact due to the outcome of the background study will not be eligible to participate in the clinical practicum and will need to withdraw from the program. The program admits new students in August, January, and May. The program is delivered in traditional and hybrid formats. In addition to the tuition, students must budget for the textbook and skills packet, student ID card, uniform, watch with a second hand, and latex gloves. The Health Care Pathways (CNA) course at Anoka County Job Training Center is free for eligible candidates. Adults who complete the program will earn a Nursing Assistant Credential, Basic Life Support, and other certificates that will aid the acquisition of employment in the field of health. AC offers the program through a collaborative effort with North Adult Basic Education, Anoka Ramsey Community College, and Anoka Technical College. Persons interested in enrolling in the program must complete a prep class comprising of 40 hours (2 weeks) of reading, math, medical terminology, and computer skills. After the preparatory training, students will need an additional 7 weeks to complete the nursing assistant training, which comprises of both classroom and clinical training. Students learn anatomy and physiology, infection control, basic nursing skills, communication skills, vital signs, Alzheimer’s care, range of motion, law and ethics, patients’ rights, and much more. Experienced instructors also take students through the clinical skills to prepare them for success on the state exam. The program also includes Basic Life Support CPR Certification and Dementia and Holistic Healing. St. Kate students have a unique opportunity to enroll in the University’s combined CNA/BLS Certificate programs at a cost that is lower than other area certificates. The program admits new students in January and May each year. Sessions typically last two and a half weeks and include classroom and clinical instruction as well as test days. The class size is limited to 30 students. Course topics include the role and responsibility of a nurse aide, perineal care, personal care skills, basic nursing skills, communication, patient transfers, fluid intake and output, nutrition, rehabilitative and restorative techniques. Tuition costs $1,030 and includes clinical background check, Mantoux TB test, AHA card fee, and exam fees. Students will receive an AHA card and CNA license at the conclusion of the program. Additional costs for scrubs, fingerprinting fees, TB testing, and additional retests are the student’s responsibility. Need-based financial assistance is available for eligible students.